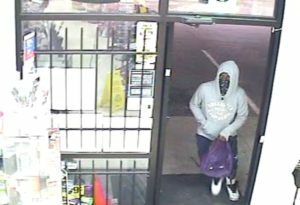 Killeen Police investigate overnight Robberies. 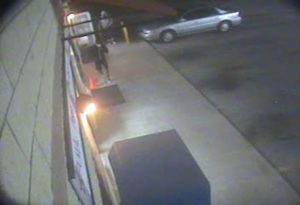 Killeen Police responded to a report of a Robbery at The Gateway Food Mart located at 104 W. Elms Rd., on Monday, August 8, 2016 at 10:35pm. Upon the officers arrival they were told that a black male entered the store wearing a black hoodie and black shorts; he stayed at the door as a “lookout”. 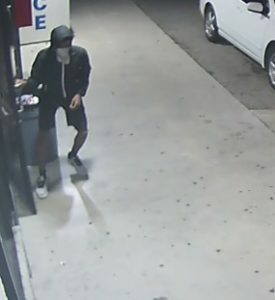 Another black male, who was armed with a handgun, entered after the first one and he was wearing a gray hoodie, dark colored shorts and demanded money. The attendant went towards the armed male with a bat and the suspect fired a shot missing the attendant. The attendant then hit the suspect with the bat causing the suspect to fall. Both suspects then fled on foot without getting anything. No one was injured in this incident. Officers were notified at 10:50pm of another Robbery at the Star Mart located at 1704 Old FM 440. The officers were told that one black or Hispanic male entered the store wearing all black and stood as a “lookout”. Another black or Hispanic male entered the store wearing all black, he was armed and demanded money from the attendant. Both suspects fled on foot with an undisclosed amount of money. No one was injured during this incident. Officers were then notified at 10:59pm, of another Robbery at the Star Mart located at 4002 Watercrest Rd. The officers were told a black male wearing a black hoodie and black shorts opened the door and stood as a “lookout” while an armed black male wearing a gray hoodie and blue shorts entered the store and demanded money. Both suspects fled on foot with an undisclosed amount of money. No one was injured during this incident. During all of these Robberies the suspects had their faces covered while inside the store. 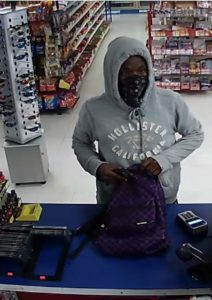 Detectives are asking anyone who has information about any of these Robberies to contact Crime Stoppers at 254-526-TIPS (8477) or go online anonymously at www.bellcountycrimestoppers.com. You can also download the P3tips app for IOS or Android and give an anonymous tip. All information is anonymous and confidential. If your tip leads to the arrest of the suspects involved in this crime you could be eligible to receive a reward up to $1,000 in cash.